My Condensing Unit Needs Maintenance. How Do I Clean It? The outside unit is called your condenser. Your condensing unit moves allot of air across it. Many factors come into play with the performance of your central air conditioning system. It is a 24-hour vacuum cleaner outside, taking in all airborne particles that pass by it. Most people neglect the outdoor unit, and simple maintenance can go a long way with the life of that unit. The outdoor unit is the workhorse of your HVAC system. It has the most significant responsibility for the whole ac system. When the gardener cuts you grass, many pieces of debris go inside your unit. By the end of the year, you would be surprised how much sod and sand you have accumulated inside your unit. Read More About: My Condensing Unit Needs Maintenance. How Do I Clean It? Many customers have weeds, plants, and trees growing around there condensing unit. Your unit cools your home just fine, but it's working way harder to get the job done. Since it is working harder, that means that your unit is working at a higher amperage draw, thus consuming more amounts of electricity. Large amounts of unnecessary wear and tear happen when weed and plants are growing around your unit. You should have the weeds removed immediately. Your air conditioning unit is a significant investment, and you should take care of it. Many people have dryer vents located near or around there outdoor unit. You do not know how bad that is for the health and performance of your condensing unit. We have seen dryer vents 20 feet away from units still taking in lint from the vent. Many units have casings around the coils, so it can be difficult to see the condition of the coil. We have seen homes under renovations take in large amounts of construction materials inside the unit, later to realize the unit compressor has burned out. In your condensing unit lives your compressor, the compressor is the heart and soul of your HVAC system. It is the most expensive component of your air conditioning unit. When the internal pressures in your system increase, causing excess wear and tear on your compressor pistons. You'll shorten the life of your compressor. When the particles, plants, and lint, start to build up in the system your condenser, your compressor works harder. Simple maintenance and TLC gives your unit a longer mechanical life. If you have a water hose, you can perform necessary maintenance to your outside unit. Just rinse the coils with enough water pressure to remove as much dirt and dust off the unit. Why Does My AC Take A Long Time To Cycle On & Off? There are many reasons why your air conditioner unit can take a long time to cycle on and off. The most common reason why your system can take longer to cycle is that there is something wrong with your equipment. A system that is low on freon can take a long time to cycle on and off. A unit that is operating low on refrigerant can increase your utility bill by 30%. Most systems that are low on freon work well at night time, and underperform in the day time. Running a unit with low freon levels adds extra wear and tear to your equipment and compressor. Some units can perform well with low levels of freon, as long as the outdoor temperature doesn't reach over 87 degrees. Read More About: Why Does My AC Take A Long Time To Cycle On & Off? A unit with a dirty condenser coil can also cause a system not to cycle on and off. A dirty condenser coil will cause the unit to overheat, making the unit inefficient. Eventually running a unit with dirty condenser coils, can cause damage to your compressor. A dirty condenser coil, will also raise the temperature of air coming out of the vents. It will also increase your utility bill. A unit with a dirty evaporator coil will also cause your unit to stay running. Symptoms of a dirty evaporator coil, can sometimes be confused with a unit that is low on freon. A unit with a dirty evaporator coil will eventually cause the unit to freeze. Evaporator coils that are dirty will move less air in your home. There are many other places in your home problems can affect the performance of your air condition unit. Many people aren't concerned about the attic. The attic plays a critical role on how well your air conditioner unit will perform. If the unit in the attic isn't sealed properly. Hot attic air can get inside your unit, mixing with the cold air. it is important to check for air leaks in your ducts. Air ducts that are damaged can also cause problems for cooling in your home. Antique obsolete metal ductwork can also cause your unit not to cycle properly. Ductwork that is laying on the floor, not properly hung can cause serious cooling problems as well. Homes with not enough insulation can also play a large factor on how often your unit cycles on and off. Homes that have a flat roof will run more continuous as well. An undersized unit will also cause a unit not to cycle properly. Units that are over 20 years of age, also have trouble lowering temperatures. If your thermostat is starting to give you problems, you can bypass it. If the bypass works, you should replace it at your earliest convenience. The main wire we'll be using for the bypass is the red wire. The red wire is what powers all the other wires. The yellow wire energizes the outside unit, which is called the condensing unit. The green wire energizes the blower motor in the attic. You'll need a wire nut to connect three wires for cooling. The following colors are red, yellow, & green for cooling to work. If you want heating to work, you'll need red, green, & white. Dallas & Fort Worth Texas is one of the hottest cities in all of Texas. When the summer heat is in full gear, it is essential to find an ac company you can trust. Air Conditioners are operating all day long, that is why we provide 24 hour emergency ac repair service. We provide service to the other cities as well including Plano, Flower Mound, Grapevine, Southlake, Lewisville, & Arlington. 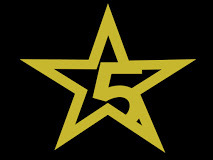 If you are looking quality, affordability, & integrity, 5 Star Repair Services Inc. would be an excellent choice for you. We also operate by a strict code of ethics. When you meet one of our excellent technicians, you'll immediately feel a warm, positive connection with him. He'll provide an excellent customer service experience & a top quality repair. We believe that integrity & honesty is a core part of our company culture, and we want to demonstrate why we are one of the best HVAC companies in all of Dallas & Fort Worth Tx. We want to be your ac company, and you'll be glad you chose us. 24 hour emergency service is challenging. Through trial and error we have mastered the 24 hour service dilemma. Many companies fail to provide this type of service because it can strain there 9-5 service. The big secret of providing 24 hour emergency is having the best ac technicians in the industry, that we do have. We've been able to offer a quality 24 hour emergency services consistently for many years now, with a trusted track record. With so many customers waiting in a hot home, the stress level can get high. This is where most other ac companies start to crack. Even technicians with over 30 years of air conditioning experience, start making technical mistakes, because the intense stress, puts a toll on their concentration. That is when many techs start getting warranty problems. No need to worry with 5 Star Repair Services Inc., we put our technicians in a no-stress environment, when they come to your home. That is why we achieved some of the highest ratings in all of Dallas & Fort Worth Texas. Our 24 hour emergency techs have seen over 50,000 different type of air conditioning breakdown scenarios. Our 5 star techs are seasoned veterans. They have experience working on old & new HVAC equipment. Our technicians are pros in Trane, American Standard, Lennox, Carrier, Rheem, Ruud, York, & Goodman. Our Techs have been working and repairing on these important air conditioning brands for over 20 years. 5 out of 5 stars. 138 votes.